Bear with me. This is going to be a long post. 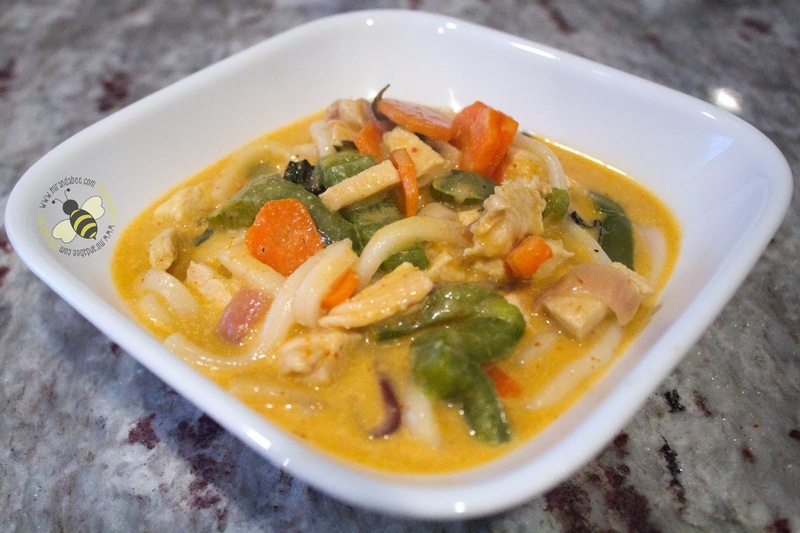 Thai curry is more of a difficult dish. But, man, is it worth it! And once you get the hang of it it doesn’t take very long. It all moves very quickly. So, read through all of the directions and, if you have any questions, leave me a note in the comments. 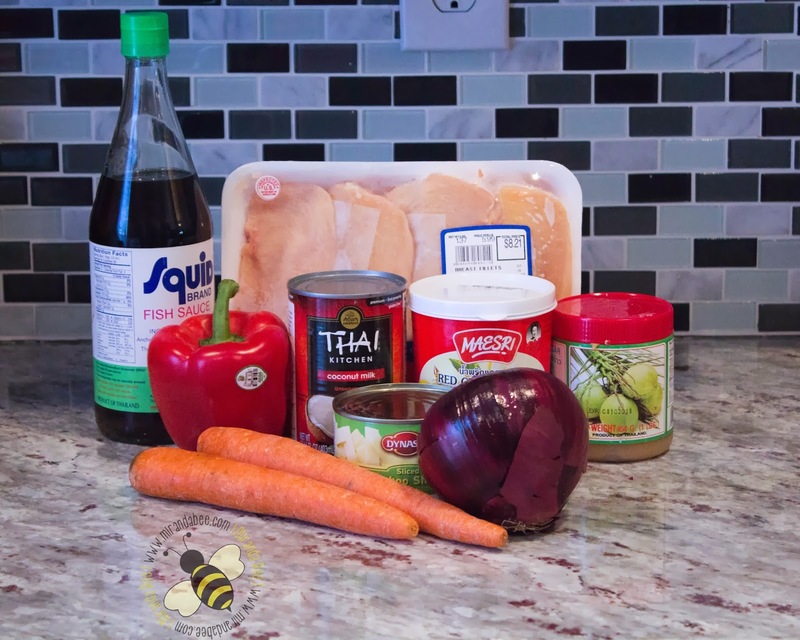 Here is what you’ll need (most of it can be found in the Asian aisle at the grocery store): Fish Sauce (I prefer Squid brand), Chicken, Coconut Milk (I prefer Thai Kitchen), Red Curry Paste (I prefer Maesri brand), Palm Sugar, and whichever veggies you want. This time, I used Red Bell Pepper, Carrot, Bamboo Shoots, and Onion. I usually also use Baby Corn, but we were out. Not pictured (because I forgot): Chicken Stock and Thai Basil. And slice the chicken. I’ve found that it cooks better (and tastes better) if you cut it into really small, thin slices. After you do that, set those aside for now. 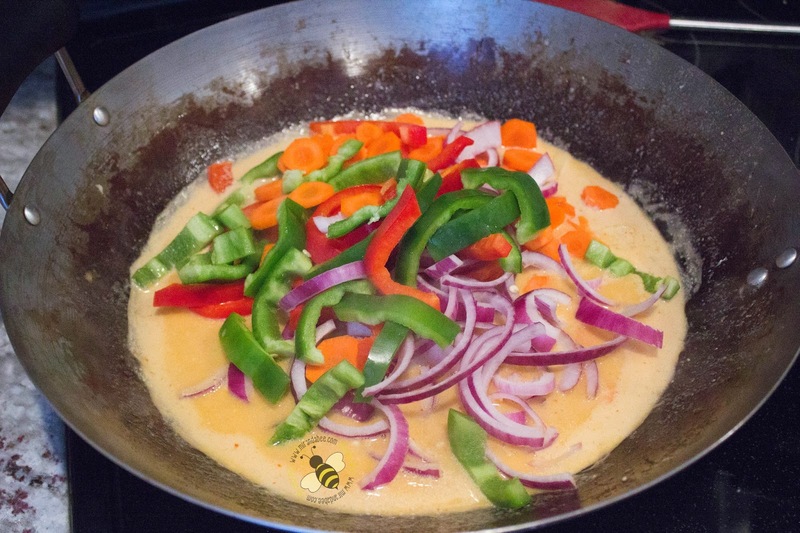 It’s time to start making your curry sauce. When you open the coconut milk, there will be a thick layer on top. Scoop out the thick part and put it in the pan (with the pan off). There should be about 3 Tablespoons worth. Set the rest of the can aside for now. Next, add the Palm Sugar. 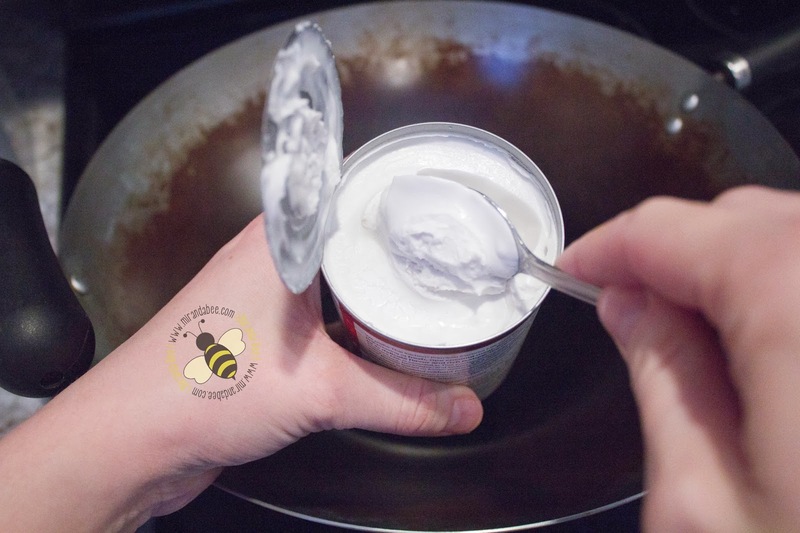 Add 2-3 teaspoons. 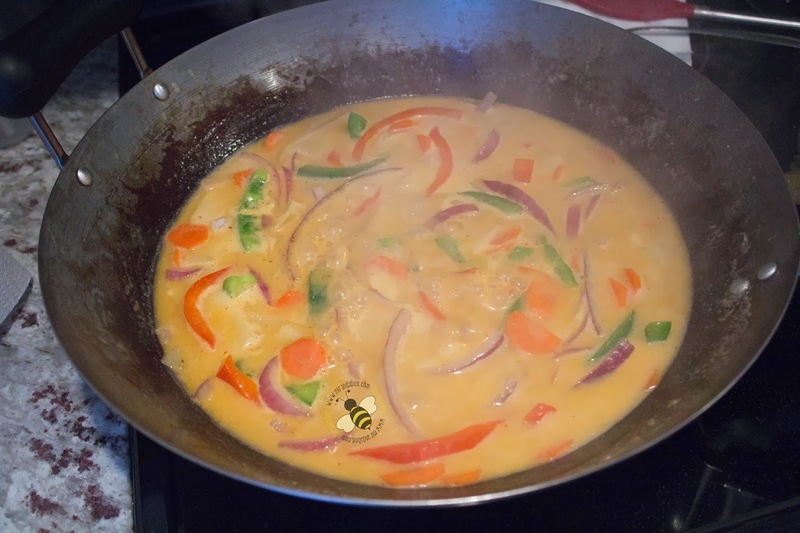 Then, add 1-2 Tablespoons of the Curry Paste. 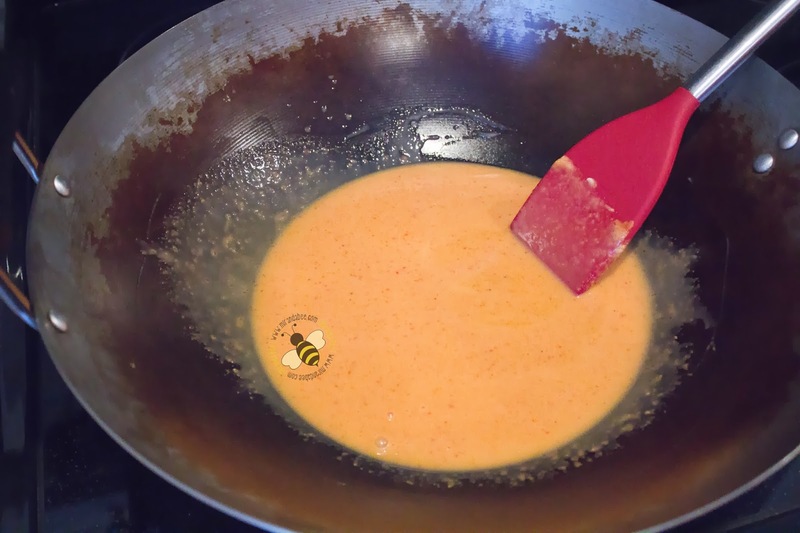 Last, add about a Tablespoon of your fish sauce. Once the 4 ingredients are in the pan, turn it onto medium high heat. Start stirring and mix all of the ingredients together. You’ll need to stir constantly. It will start bubbling and turning oily. Keep stirring constantly. 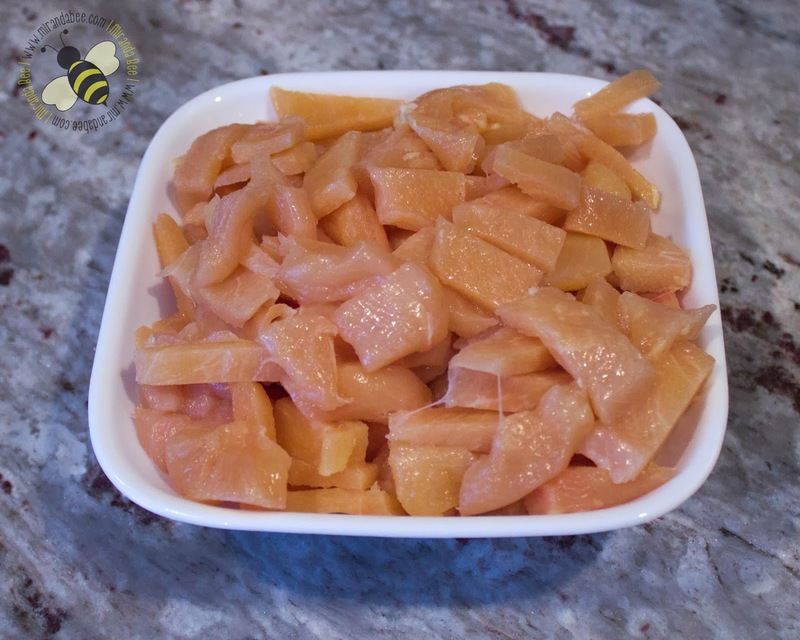 Once it’s a nice bright orange color, stir in the rest of the first jar of coconut milk. Once it starts to come back to a boil, add the chicken. Cook until the chicken is cooked mostly through, but not all the way. Take the chicken out and set it aside. Add the chicken stock and the veggies to the pan. Cook the vegetables all the way through. 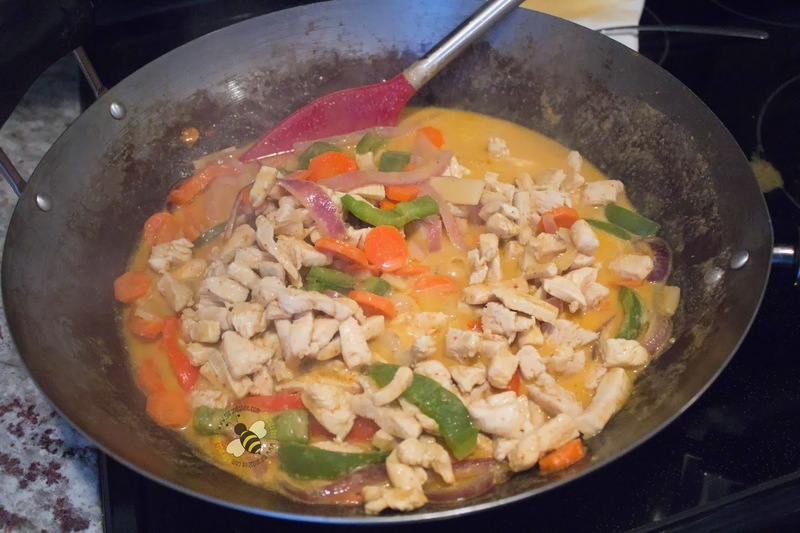 Once the vegetables are cooked all the way, add the chicken back to the pan and stir. Take a little taste and add ingredients to change the flavor based on your preference. 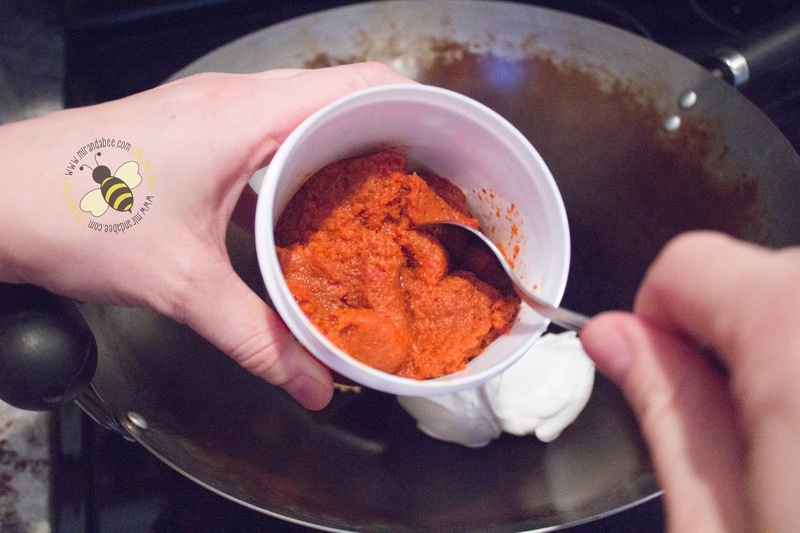 Add curry paste for more spice, palm sugar for a sweeter taste, and fish sauce for more salt. 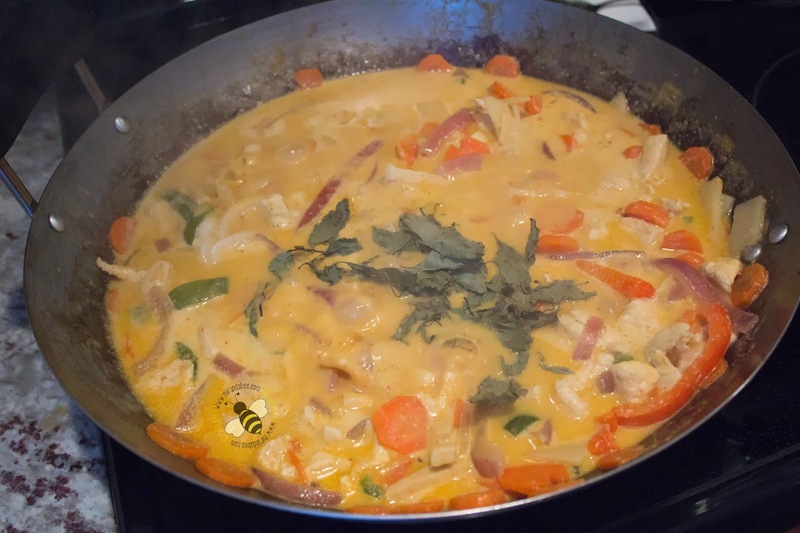 When the curry is done, add the Thai Basil and stir. Once it’s done, you can serve it over rice, with noodles, or by itself. 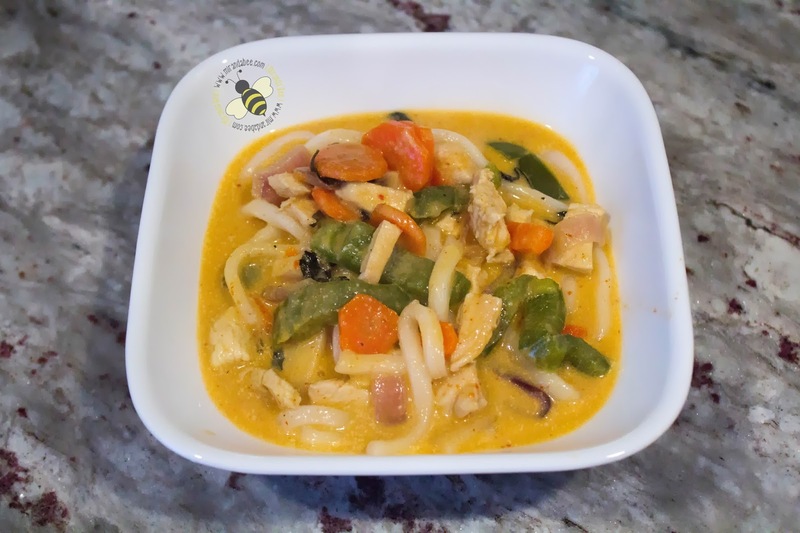 Our favorite way to eat it is over rice or with rice noodles, but this time we decided to have it with Udon noodles. As I said, it takes some time to learn. But, once you get the hang of it, you’ll be able to make it without much difficulty. You’ll also be able to tweak the recipe to suit your tastes. A fragrant, savory dish that can be made anywhere from mild to spicy, depending on your taste. 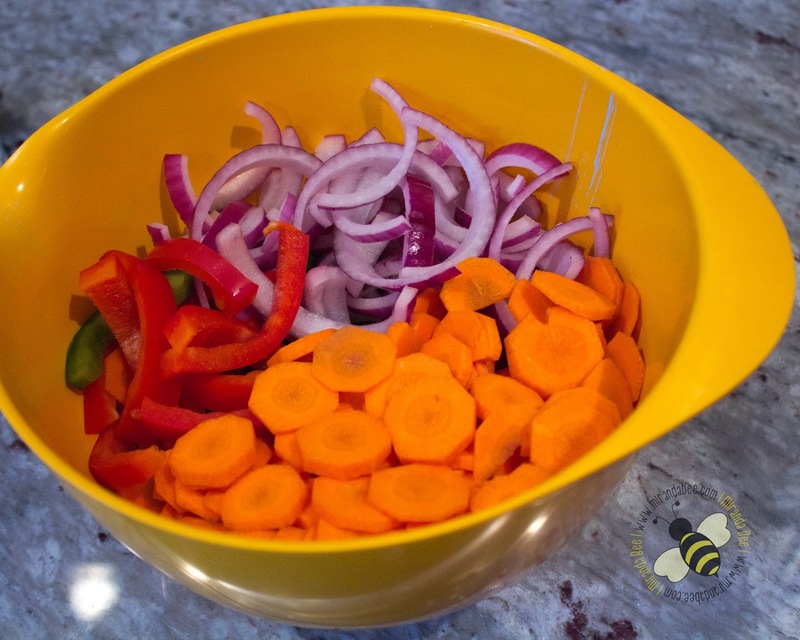 Chop your vegetables and set them aside in a bowl. 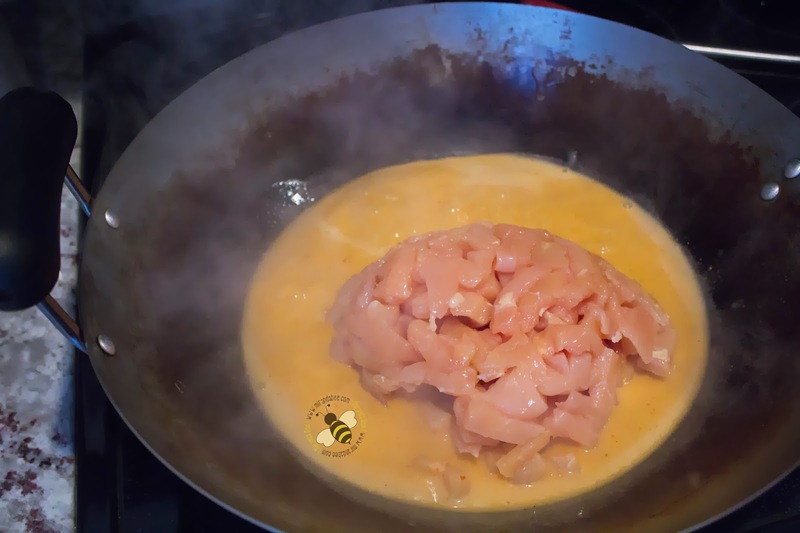 Thinly slice the chicken and set it aside in it's own bowl. 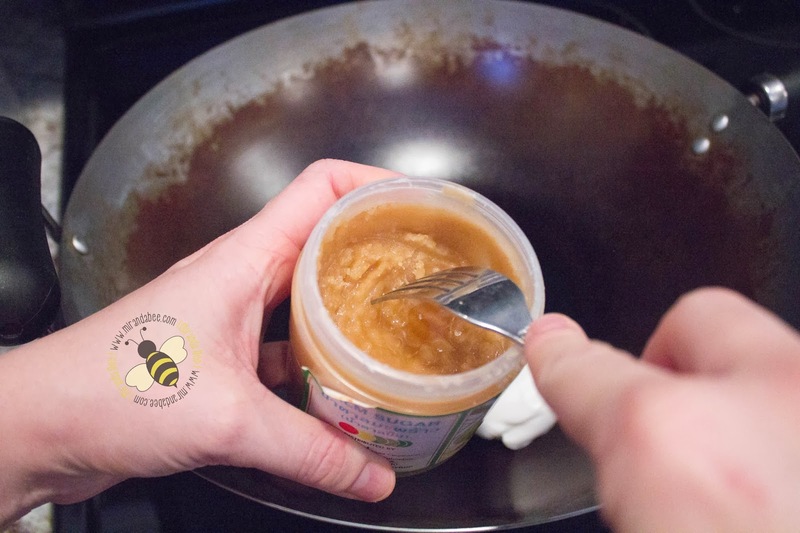 Once all 4 ingredients are in the pan, turn it onto medium high heat and stir. 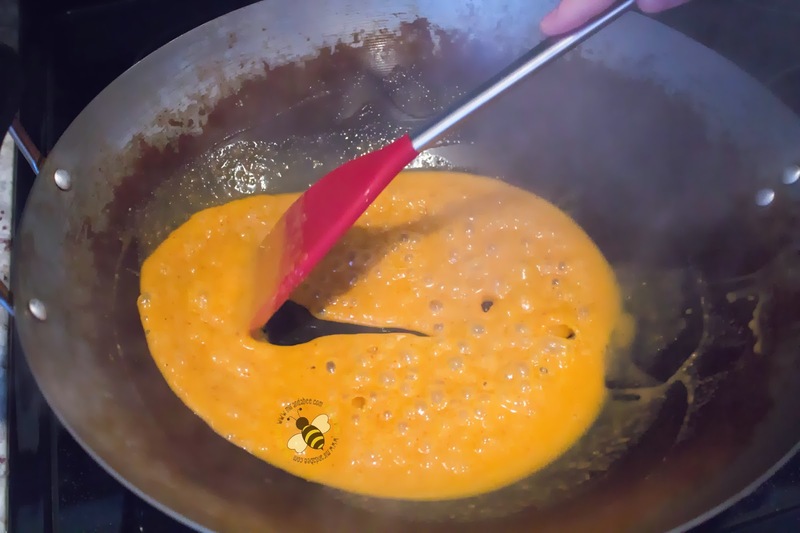 Stir continuously until the sauce becomes oily. Keep stirring constantly. 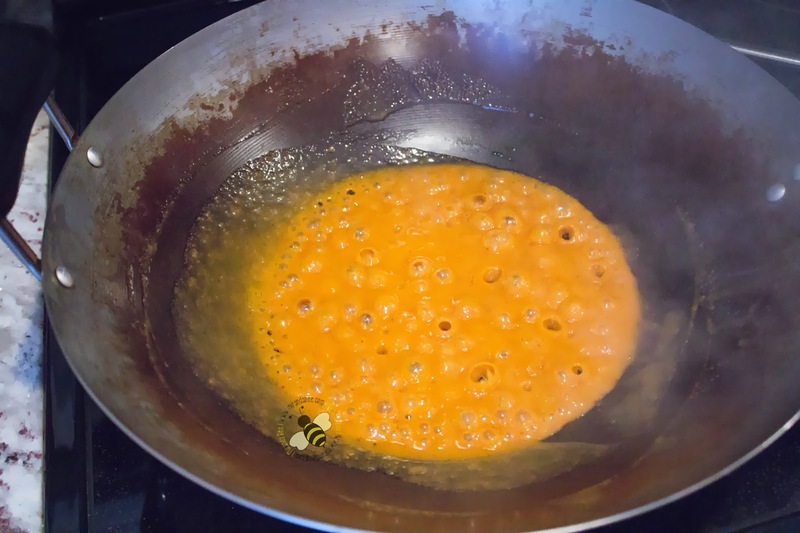 Once the sauce is a bright orange color, stir in the rest of the first jar of coconut milk into the pan. Once it reaches a boil again, add the chicken. Cook the chicken until it's cooked mostly through and remove it. Set it aside in a bowl. Add the chicken stock and the veggies to the pan. Cook the vegetables all the way through. 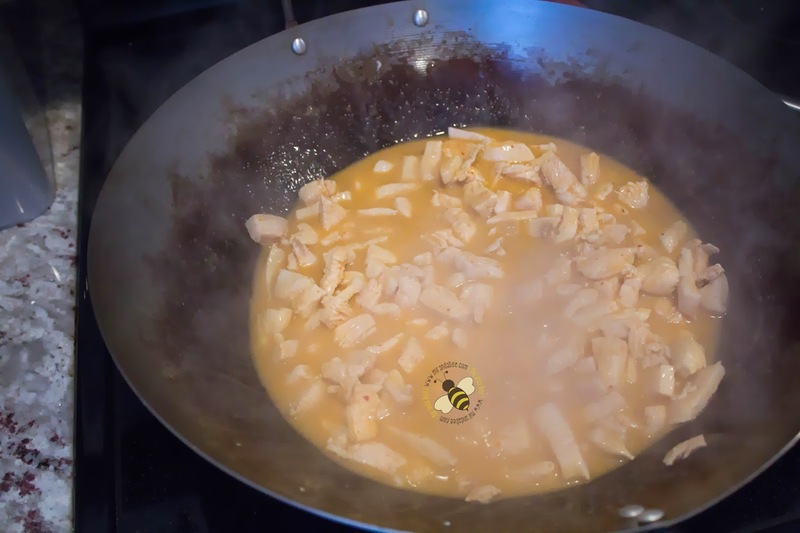 Once the vegetables are cooked, add the chicken back to the pan and stir. Take a little taste and add ingredients to change the flavor based on your preference. 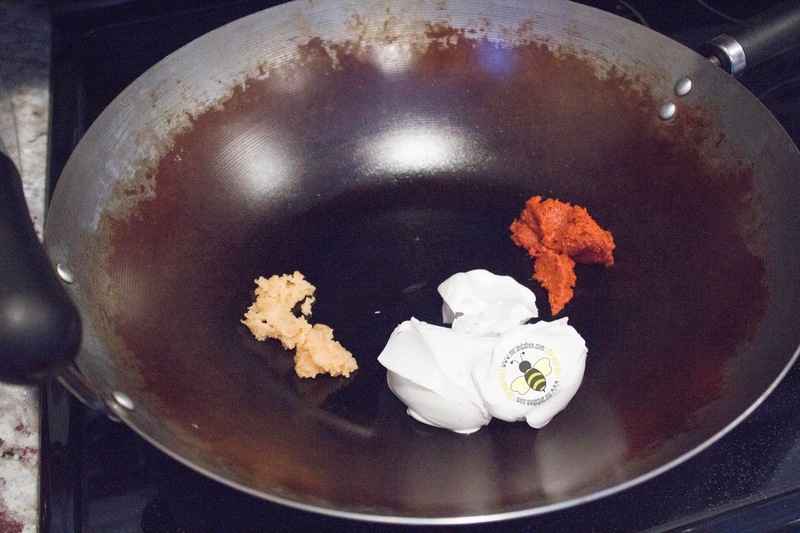 Add curry paste for more spice, palm sugar for a sweeter taste, and fish sauce for more salt. Add the Thai Basil to the pan and stir. Serve it over rice, with noodles, or plain. You’ll also need a large Wok. 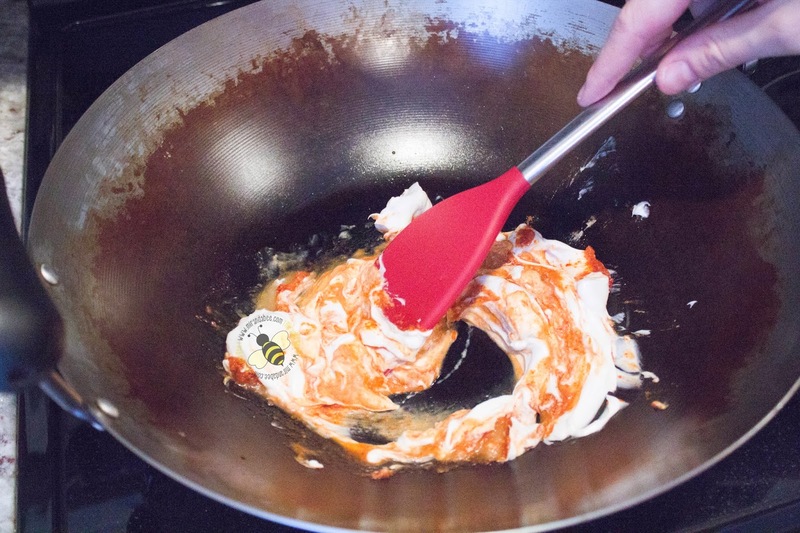 You can use a pan if that’s all you have, but a Wok will work best. 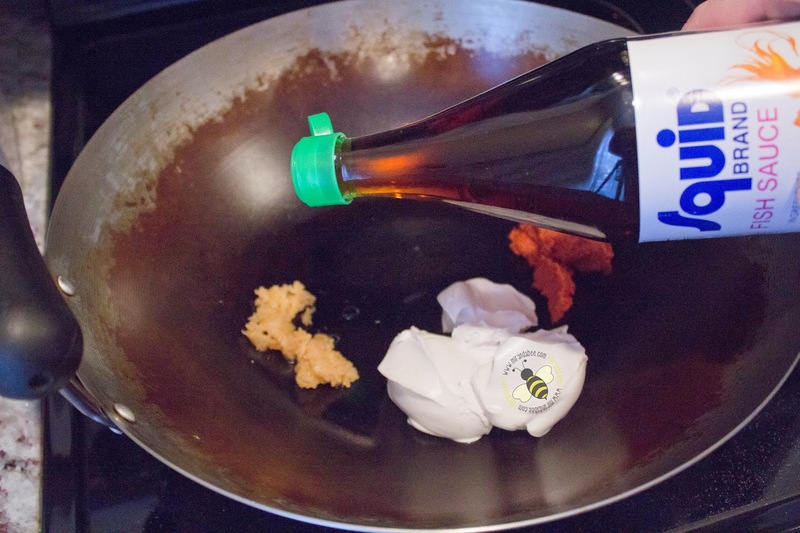 If you don’t have Fish Sauce, you can use Soy Sauce and if you don’t have Palm Sugar, you can use sugar. 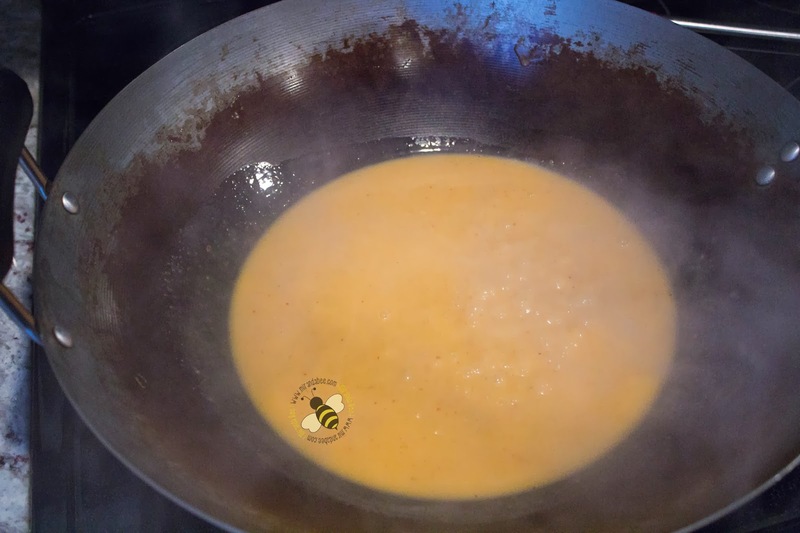 Make sure not to shake the coconut milk. You don’t want it to mix in the can. Oh, yum! And fish sauce makes all the difference in the world. My mother-in-law is Vietnamese, and she introduced me to the wonders of fish sauce. 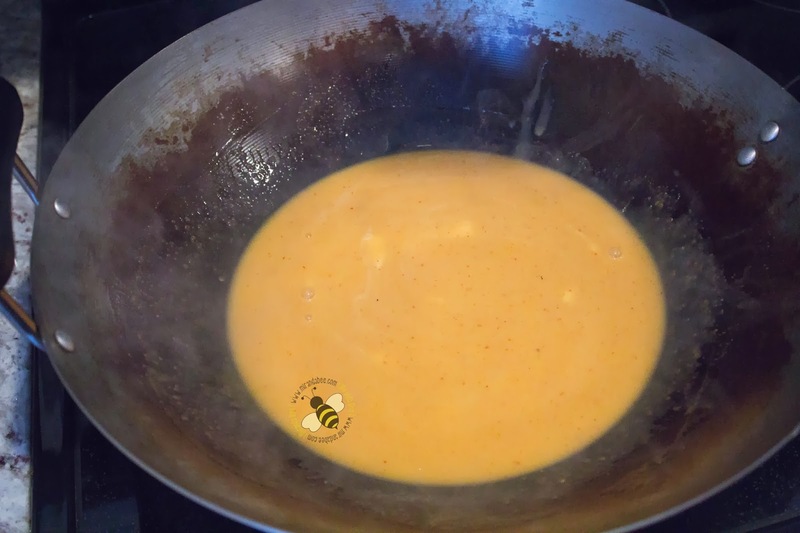 It makes a great dipping sauce for fish and egg rolls (with other ingredients too.) Will pin! I never make anything like this! It looks delicious and something new maybe to try! Thanks! 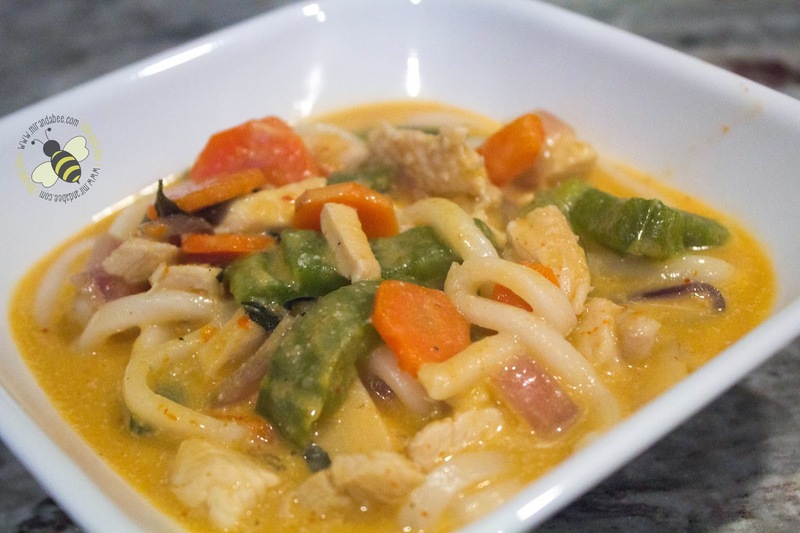 I love Thai soups and red curry, so I definitely want to try this one! I'm out of curry paste and coconut milk but have been planning a trip to the Asian market later this week. Can't wait! That looks really good. I have never had curry before. That looks really good. I have just gotten to where I can enjoy foods like this so I am going to try and make this sometime soon. Looks good for a night in. Im always looking for new ideas.